Manning Wardle rose from the ashes of early loco maker E.B.Wilson. Foreseeing the forthcoming demise of the firm, Works Manager Alexander Campbell formed a new partnership with financial backers J.Manning and C.W.Wardle (a local vicar). They established a new works on land adjacent to E.B.Wilson’s Railway Foundry, land that was part of the estate of Lord Boyne. 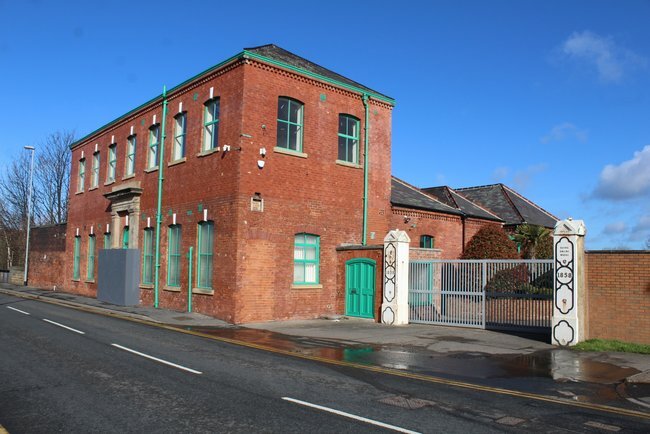 When the Railway Foundry was wound up in 1858 a number of the plans were acquired, the good will of the firm and many of its personnel simply moved to the new works next door, the Boyne Engine Works. The early days of the firm were like a continuation of the old order, similar locos were turned out, often to firms that had bought from their predecessors. For many years the locos still bore the Railway Foundry trademarks such as fluted safety valve covers and domes and the engraved rectangular brass works plates. Gradually the designs evolved to some extent from those produced under E.B.Wilson, though the resemblance to Railway Foundry products could still be seen in most of Manning Wardle’s output. Throughout Manning Wardle’s existence the bulk of their business was the 4 wheel and 6 wheel saddle tank engines. Many were used by contractors in big construction projects such as the railways that were built in the mid to late 1800s. They were also used on othe large construction projects such as docks and reservoirs, a notable example is the Manchester Ship Canal, a project that stretched from Liverpool to Manchester and had numerous locomotives in use. At the time locomotives were a typical part of construction sites as JCBs are today. Little tank engines were appearing everywhere in Victorian times, in collieries, quarries, factories, docks and small railway systems, not just here but across the world. Just as the Railway Foundry had done before, the Boyne Engine Works liked to produce engines to standard designs, this meant they were able to supply locos very quickly. As well as the little standard gauge tank engines a number of interesting narrow gauge engines were built. 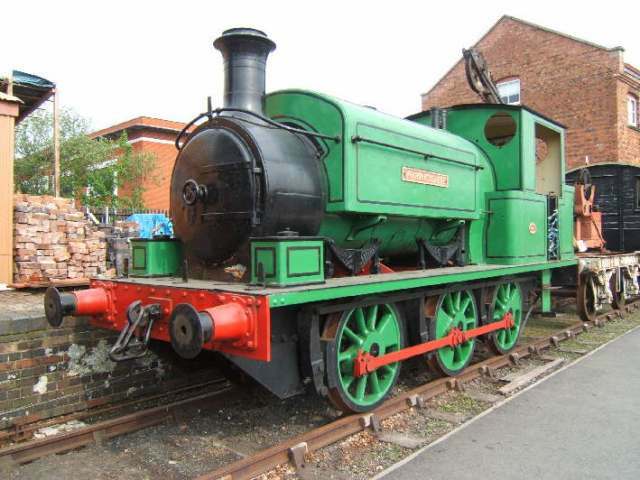 There were many narrow gauge locos produced for industry and narrow gauge railway systems in the UK and across the world. Many of Manning Wardle's narrow gauge locos were quite similar to their standard gauge loco designs and many narrow gauge engines were basically scaled down versions of their popular contractors engines. Looking very similar to the standard gauge K class loco shown earlier, but somewhat further from its birthplace, this is works number 815 of 1882, a 'Special K' class, built to 3ft 6in gauge and used in the construction of the Japanese railway system. 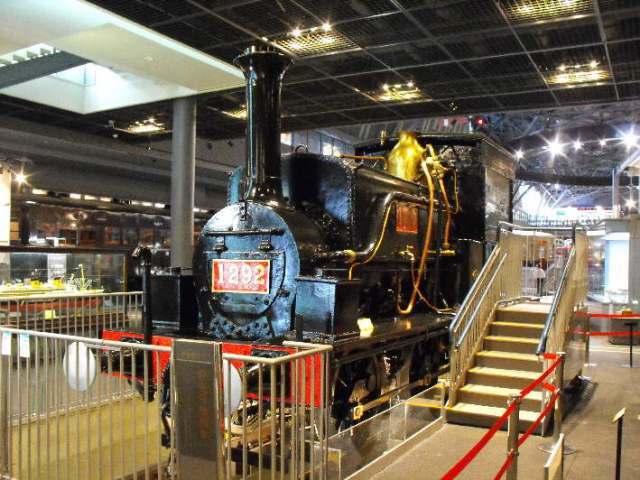 It is the only survivor of 3 engines the firm built for Japan and is now preserved in Japan’s National Railway Museum near Tokyo. One of the most famous examples of Manning Wardle's narrow gauge engines were the four supplied to the Lynton and Barnstaple Railway. The Lynton and Barnstaple was initially an independant railway company, three locomotives were built initially, MW 1361 - 1363 of 1897 named Yeo, Exe and Taw after local rivers. 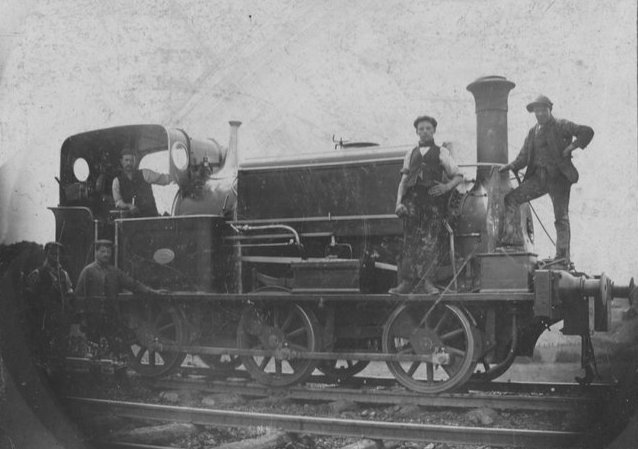 The company decided it needed a fourth locomotive, however industrial action across the locomotive manufacturing industry saw the company order fouth locomotive Lyn from Baldwin in America (Baldwin also built a number of standard gauge locomotives for UK railway companies at the time for the same reason). The L&B was absorbed by the Southern Railway who at first carried out some upgrades to the railway including the purchase of another Manning Wardle to an upgrade of the original design, MW 2042 of 1925, Lew. The railway closed in 1935 and after use on dismantling trains the reletively new Lew was sold to Brazil. Beyond being loaded on to the S.S.Sabor for Pemambuco no one knows what happened to it. The original locomotives didn't find buyers and were scrapped. 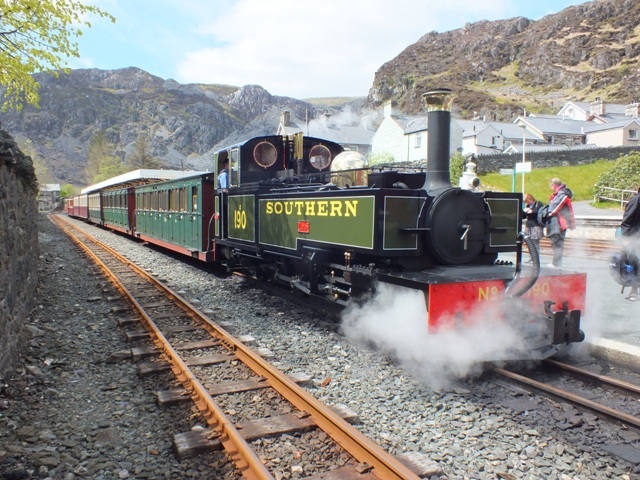 Fortunately in recent years a replica of the L&B locos, named Lyd, has been constructed at the Ffestiniog Railway. 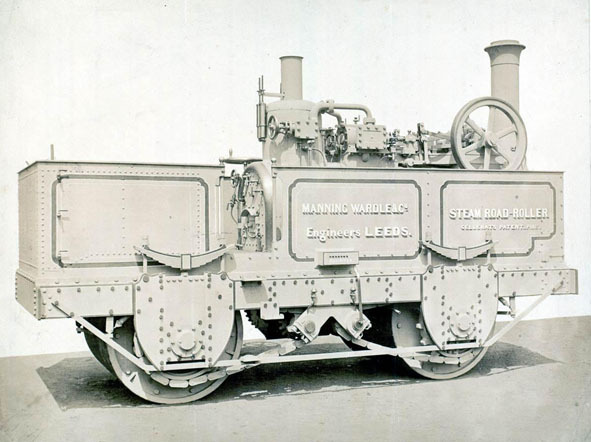 Though a small number of tender locomotives were built by Manning Wardle these were all four or six wheel engines, the firm stuck to small locomotives throughout its history. Four crane locos were built, the first of which being for local firm Kirkstall Forge. Local crane manufacturers Joseph Booth of Rodley built the crane gear for the locos. Manning Wardle also subcontracted a number of other crane orders they received to the Rodley firm. Two compressed air engines were produced in 1880, a cylinder (probably produced elsewhere) was charged with compressed air at 1000psi, this could run the four cylinder compound engine for about 6 miles. It appears these were not successful as there is no known record of their use beyond 1886. In 1882 two Manning Wardle 0-4-0STs were used during Major General Gordon's Sudan expedition. This is claimed to be the first use of armoured locomotives. Manning Wardle produced ten narrow gauge and three standard gauge steam trams; these would haul tramcars just as horses had done at one time. A similar development for the railway industry was the railmotor, a single carriage with its own permanently attached small steam loco. Five of these were built for the Taff Vale Railway in 1906. These designs were fairly short-lived ideas as electric tramways caught on and it was realised that the railmotor simply wasn’t a good idea. It was realised that it made more sense to just couple a small tank engine to one or two coaches as required. Three two-coach railmotors were also produced for Buenos Ayres Tramways in 1870, these had their engine sandwiched between the two coaches. Sadly none of these Manning Wardle steam trams or railmotors survived, however neighbouring firm Kitson & Co produced some very similar steam trams and rail motors of which a few survive, these are covered in the Kitson & Co article. During the First World War the works concentrated on the war effort. Locomotive production was supposedly to be confined to engines that were necessary for the war effort, though a number of exports still took place. The works produced a number of Isaacson Radial aircraft engines during the war. Twenty armoured petrol locomotives were also built for military use, this was to be Manning Wardle’s only venture in to the internal combustion market. After the First World War trade never returned to what it had been before the war. The global depression hit sales badly across the industry. Manning Wardle had never done much to modernised its facilities and its manufacturing methods, in effect they were still pretty much hand building locomotives. Though they were still producing excellent locos it was difficult for them to compete in prices, not good when there are four other loco builders within a couple of hundred yards alone. In 1925 only 4 locos were produced, likewise in 1926 4 more. This obviously couldn’t last and Manning Wardle went in to liquidation. The last locomotive produced in the Boyne Engine Works, works No 2047 of 1926 ‘Warwickshire’ seen preserved at Kidderminster. Above - The former works office of Manning Wardle in 2019 (Photo - Kris Ward). After the company closed the works were partially used by next door neighbour Hunslet Engine Co, as well as other industrial users. In World War II, like so many engine-making facilities in the area, it was used for munitions manufacture. When J&H McLaren took over the service work for John Fowler traction engines and steam rollers this work was carried out in a part of the Boyne engine works. Finally part of the Manning Wardle works was modernised when Hunslet Engine Co produced the class 323 electric units in the 1990s. With the demise of Hunslet Engine Co the site is now simply the car park for an electronics firm that has taken over the former Hunslet works, only the former offices and the gateposts still stand. Due to their rugged construction many Manning Wardle locomotives have survived and can still be seen operating. About a mile from their birthplace the Middleton Railway operates a couple of Manning Wardles. Somewhat further away the Kroderbane in Norway also has a pair of Mannings. At the Great Central Railway (Nottingham) a group is restoring a collection of the engines like those once used to build the line. In spite of over 80 years having past since the last locomotive left the Boyne Engine Works there are 38 surviving engines around the world. Click here to see the pictures in our collection. These pictures are mostly of preserved examples however we have received a few contributions of old photos of engines at work. Considering Manning Wardle turned out their last locomotive over 85 years ago there are still plenty of their locomotives in preservation in the UK and overseas. There are also a lot of surviving records from the works and it is still possible to put together quite a comprehensive list of Manning Wardle's output. Below is a list of surviving Manning Wardles, check out our database for the complete list. The Railway Foundry Leeds by Ronald Nelson Redman.